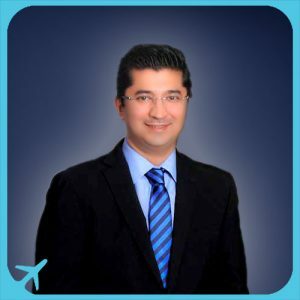 Dr sarakat Implantology Specialist and Facial esthetic surgeon has been active since year 2004 and earned the US ICOI fellowship and mastership and Maxillofacial Reconstruction and Esthetic Procedures in Germany in January 2007. He received his special board in Oral and Maxillofacial Surgery from Shahid Beheshti University of Medical Science and became dean of Maxillofacial Surgery Department of, Bou Ali Hospital, and also Islamic Azad university of Tehran. In year 2009 he was the Consultant maxillofacial surgeon in Emirates and a year before that he became the Founder of the facial surgery department of Bouali Hospital in 2008.